Verve Luxury Rigid Click, the latest addition to Van Dyck Floors’ extensive offering of luxury vinyl tiles (LVT), was recently launched. This high-performance floor offers solutions for domestic and commercial markets and it is ideally suited for the South Africa’s climate. The science and engineering behind Verve Rigid Click is the result of years of research and development. It has been designed with the extreme South African environment in mind and is suited for high temperature installations and variations in temperature (especially in winter). This new generation product has many advanced features and offers the strengths of a wood laminate floor with the flexibility of an LVT. Benefits customers can look forward to with Verve include speed of installation and dimensional stability much higher than international requirements. It is also waterproof and does not require expansion gaps. The tiles can be fitted over most existing screeds and ceramic tiles, and in most instances, without the need for self-levelling screeds. It is however, still important to do the necessary substrate inspections. Other advantages of Verve include no telegraphing, low maintenance, no need for acclimatisation prior to installation, and no need for unsightly transition strips in doorways between rooms. 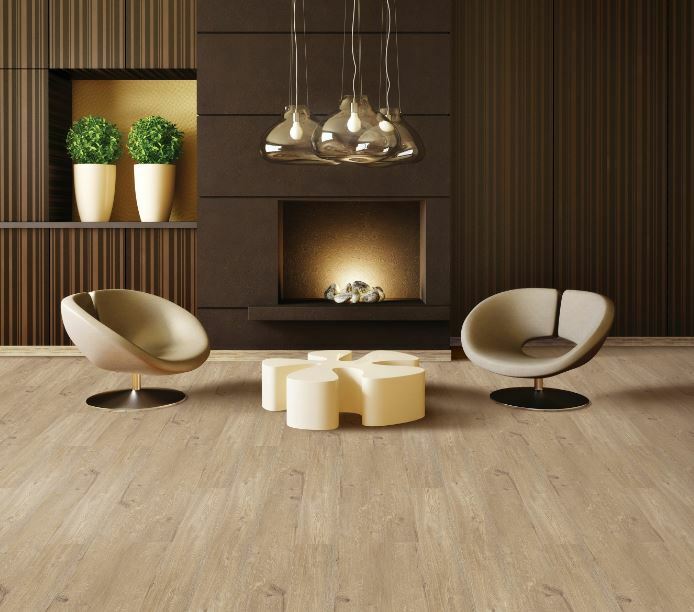 The product doesn’t contain any harmful plasticisers, phthalates or heavy metals and it resists subfloor imperfections as well as indentation. The AO9 in-built surface technology provides protection against scratching and scuffing. The new range is stocked in five realistic, stylish, contemporary colours and designs by Van Dyck Floors. The colours have been specifically chosen to imitate and highlight the texture and shade differences present in natural timber. It is available in a broader and longer format of 228.6mm wide x 1524mm long, in an overall thickness of 4.2mm with a 0.3mm wear layer. Van Dyck Floors recommends the use of Eco-Lay 2.5mm 100% recycled rubber underlay to improve sound absorption, enhance comfort underfoot and assist with thermal retention. The product has been sourced by the company’s partner, The Piccolo Group, which supplies a full range of Rococo Stick Down LVT ranges: Rococo Classic Plank (184.15mm x 1 219.2mm), Rococo Wide Plank (228.6mm x 1 219.2mm), Rococo Parquet (101.6mm x 304.8mm), Rococo Xtra (228.6mm x 1524mm) & Athena Woven Vinyl Tiles (50cm x 50cm).